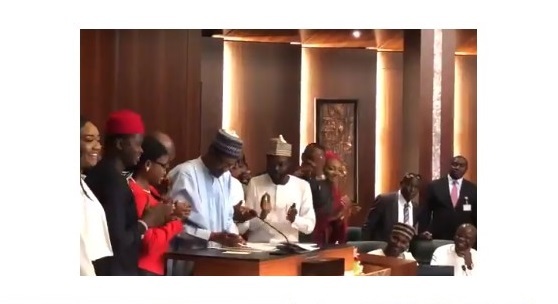 President Buhari has signed the Not-Too-Young-To-Run Bill into law. The president signed the bill this afternoon inside Aso Rock Presidential Villa in Abuja. President Buhari had, in his Democracy Day broadcast on Tuesday, pledged to sign the bill.